What You Can Do With Your Nurse Education? With many baby boomers retiring, there is a large nurse shortage growing by the day. The demand for nurses will create over a million new jobs, & is already lifting wages. Studying online allows you to improve your career and salary with flexible hours that work around your current schedule. Each school offers unique programs and exclusive financial aid opportunities for students. We recommend requesting information from at least 2 schools so you can compare and contrast their programs. Not Sure of Your Career Options? We interviewed over a half-dozen well known nurses to get their favorite education and career tips, opinions, & suggestions in our special Beyond The Books series. If you are considering a career as a nurse, you need to know all your options. There are education levels to choose, types of programs to consider, and then choices to make about your intended specialty. Interested in pediatrics, cancer, or care for aging adults? Or do you prefer a more heart-pounding, adrenaline-charged job? Degrees come in a few different forms: one-year or certificate / diploma, two-year Associates in Nursing, four-year Bachelors of Science in Nursing (BSN), post-graduate Masters of Science in Nursing (MSN), and Ph.D. in Nursing. 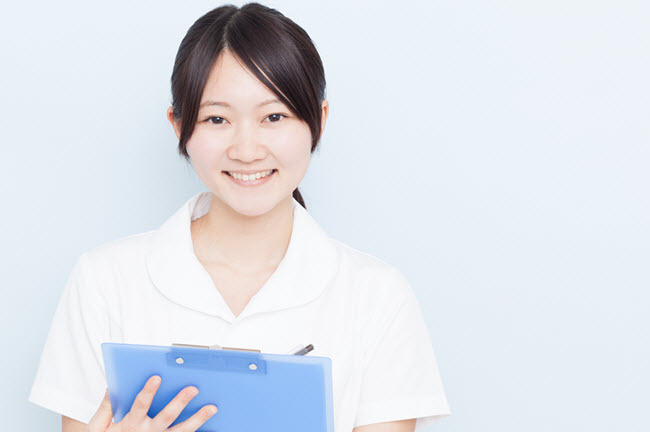 A one-year diploma typically prepares students to take their Licensed Practical Nurse (LPN) exam. Graduates of a two-year school and upwards may qualify to take the Registered Nurse (RN) licensure exam. If you are motivated, nurses that study in a post-graduate environment are also called Advanced Practice Nurses. When it comes time to apply to your program there are still more granular options. Community colleges are very popular for nurses earning their Associate's. These programs are available regionally and offer very affordable, practical curriculums. Decide at a later date you want your BSN and jump right into an Associates-to-BSN upgrade available through many programs. Four-year programs divide teaching models fairly evenly between classroom theory and hands-on clinical work. A BSN offers the widest array of specialty career options. For nurses that aspire to advanced practices, a university environment is likely where most programs are clustered. Nurses at the PhD level are most likely tracked for educator and research positions. Particular specialties may focus more precisely on the care needs of disparate communities or groups, such as women, veterans, and cultural and ethnic populations. Burnout and stress accumulate in any job, but nurses are typically prone to both. Morale-building and innovative staffing solutions are the realm of nurse managers and leaders whose jobs demand they attune themselves to their nurses’ needs. Most nurses turn to their professional associations where more grassroots work is carried out as far as nurse policy and professional development. Specialists may network, pick up continuing education resources, and stay current with the latest techniques applicable to their nursing skills. All RNs are urged to earn certifications that indicate their level of expertise. Credentials earned based on industry experience and skills tests, help professional nurses negotiate bigger salaries, win more job responsibility, and make logical leaps to closely related specialties. The Bureau of Labor Statistics reports that RN jobs are one of the top growth industries in the next decade. Explore your chances for a nurse career. Many colleges across the country offer offline courses for nurses. Chose your state below to browse your options. For your convenience we also maintain a sortable database of CCNE-accredited nursing degree programs across the country.